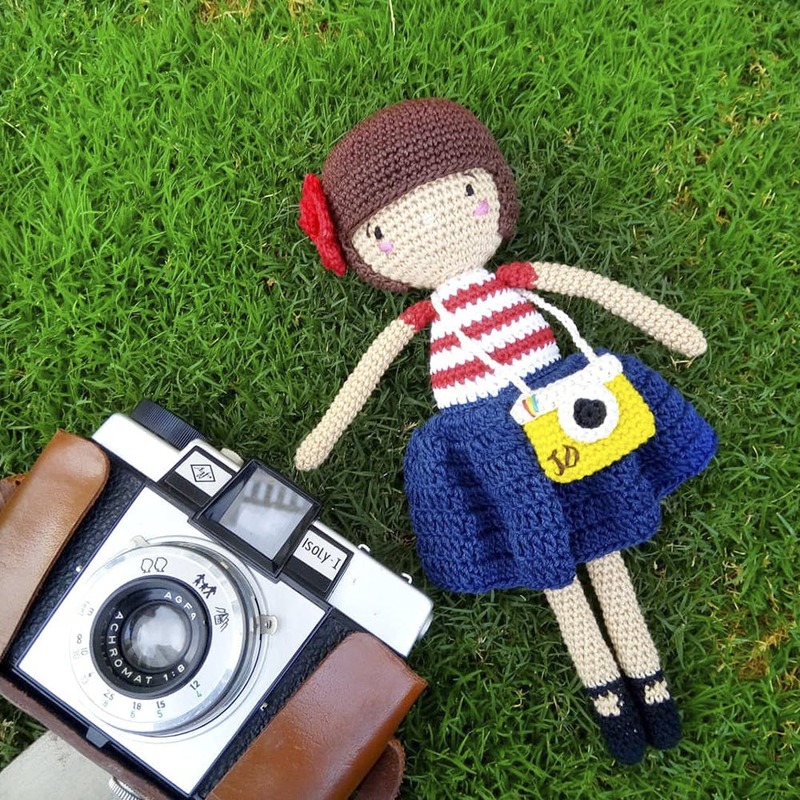 Whether you are an adult obsessed with all things Japanese, or you need to gift a little one something different, Kimbhoot Gift Studio is the place to shop Japanese crochet dolls from. Forget origami, it's all about amigurumi now. If you don't know what that is, it literally means "knitted stuffed toy" in Japanese, where the trend began. And though we're fully grown adults with jobs, responsibilities and important-sounding titles, we will now be blowing all our money on these adorable little crochet animals from Mamta Chakravarty's Kimbhoot Gift Studio. What started out as a hobby eventually turned into a full-time venture for Mamta, after she received a lot of positive response for her cute creations. We thought it was especially endearing that most of these dolls are inspired by the books that either Mamta or her son is currently reading, so you'll find cute and lovable characters like a curly-maned lion (based on The Butterfly Lion), a toad with a smart-looking bow tie (Toad of Toad Hall) and a penguin with a beanie on (from How Deep Is The Sea?). Prices start from INR 650 and you'll even find pirates, mermaids, bears, sheep and crocodiles. They're suitable for anyone above 3 years and if you have a particular idea in mind, she can customise it especially for you. It takes Mamta three days to make a doll and she can hand deliver the product to you (only on the weekends) if you're in Indiranagar, Koramangala or Marathalli. For those of you who stay elsewhere, she can Dunzo it, or you can pick it up directly from her studio. We heard she's considering creating home decor products and toys for infants too!